This week is American Education Week. First held in 1921, American Education Week was founded by the National Education Association and the American Legion. In the following years, sponsors grew to include the U.S. Department of Education and dozens of other national education organizations. American Education Week is always celebrated the week before the week of Thanksgiving. Take time this week to thank those who work in education and celebrate their contributions to the growth of our society. Newest Employee of the Month: Keeps us up and running! 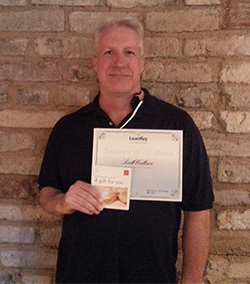 Our IT department rocks and one of the reasons is people like our newest Better Learning Systems employee of the month, Scott Wallace. He treats everyone (internal or external) like a customer, with respect, follow-up, and “can do” attitude. Over the past three months Scott was there for us and our customers at very critical times and we were so fortunate for that. He comes in on weekends if need be, takes on additional responsibilities and always demonstrates our core values because he’s easy to work with, builds trust with people, and values the efforts of his peers . One of the best experiences for me working with Scott is when he explained in simple terms what we needed to do to eliminate “points of failure” in our technical and operational support areas. I really respected how candid he was and not only expressed the problem but also recommended the right solutions. These recommendations keep our OnlineExpert.com enterprise up and running as well as our many office systems and servers. His passion for making sure our teachers, students, and veterans have a good learning experience is clearly demonstrated by how he is always willing to take a call to help them any way he can. Could be an internet connection issue, web browser, configuration settings; he demonstrates patience and willingness at all times. 1. How many siblings do you have? Two. 2. What is your favorite movie? I can’t answer that there are too many, so I’ll give you my first favorite movie. Johnny Sokko and Giant Robot. 3. What is your favorite band? Led Zeppelin. 4. What is your favorite vacation spot? Anywhere I go together with Dawn & Izzie. 5. What was your high school’s mascot? An Alta hawk, which is a fictitious bird, btw. 6. What is the weirdest combination of foods you have eaten? Not really sure? 7. What is/was the name of your favorite pet? Bogger & Izzie. 8. What was your first car? 1970 Z-28 Camaro. 9. If you could go anywhere in the world where would it be? I would take Dawn on a Disneyland world tour, or where ever she wanted to go. 10. Would you rather sky dive, bungee jump, zip line, or parasail? We’ve been zip-lining. Parasailing I guess. 11. If you could eat dinner with anyone from the past, present, or future, who would it be and why? How could I have dinner with someone from the future? There is no possible way in our fixed number of dimensions that I could possible know who will be in existence in the future. Not two days into the future, not two seconds into the future. Ok how about my wife this weekend at the finest Disneyland restaurant in California. As previously stated our IT department rocks and Scott Wallace is a big reason for that! Thank you again Scott and congratulations! When Employees “Get It” Everyone Wins! Amazing people do amazing things and that is not by accident. Have you every met someone who just “gets it”? When we do there is a saying “they get the why”. 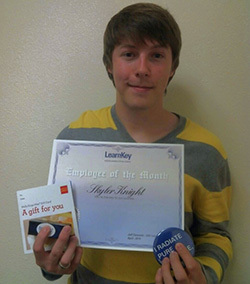 That could not be more evident then by our newest LearnKey, Better Learning Systems employee of the month Skyler Knight, a LearnKey designer in our Cedar City, UT office. The “why” is why we do what we do, not the what and how of our products and services; its the passion of wanting to help people “fulfill their dreams through better learning systems”. That is why we do what we do. “Skyler works every day to ensure he is meeting our core values (Ease, Value, and Trust). He is Easy to work with and we trust he will get the job done because he’s the first to finish assignments and brings so much value to our production team by always going above and beyond”. In my own personal experience with Skyler he can also pull a fast one as he and another employee swapped places in April 1st of this year getting me to believe one of his peers was actually him! It worked and I owe him and Jordan big time the next time I am in Cedar! 1. How many siblings do you have? I have 3 siblings, one older sister, one older brother, and one younger sister. 2. What is your favorite movie? My current favorite movie is Abraham Lincoln Vampire Killer. 3. What is your favorite band? My current favorite band is Twenty One Pilots. 4. What is your favorite vacation spot? I don’t take too many vacations but my most recent trip was to South Korea. I would say that it is by far my favorite spot to travel to. There are so many beautiful buildings to see and a lot of beaches to admire there as well. 5. What was your high school’s mascot? My high school’s mascot was a Ram. 6. What is the weirdest combination of foods you have eaten? The weirdest combination of food I’ve ever eaten was live (still moving) octopus with sesame oil, raw fish, and salt. 7. What is/was the name of your favorite pet? The name of my favorite pet was Halo. 9. If you could go anywhere in the world where would it be? If I could go anywhere in the world right now I would travel to Japan. 10. Would you rather sky dive, bungee jump, zip line, or parasail? I think I would rather zip line if I had to choose from the above options. Maybe someday if I gain the courage I would like to go bungee jumping or sky diving too. 12. If you could eat dinner with anyone from the past, present, or future, who would it be and why? I would choose to eat dinner with a philosopher from the past, perhaps Socrates. The reason being that I would like to ask him about his personal philosophies about knowledge and gain insight and wisdom from someone who is not overwhelmed by all of the distractions of our modern world. Please join me in congratulating Skyler and reminding him how fortunate to we feel to have him as part of our team. 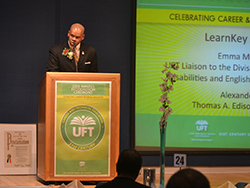 LearnKey was pleased to be included this year in the Career and Technical Education (CTE) Recognition Ceremony put on by the United Federation of Teachers (UFT). The UFT is a union of professionals that supports and is committed to strengthening their communities, their profession, and the lives of their members and students. 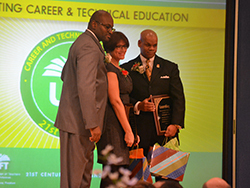 This annual ceremony recognizes teachers that are the very best educators in their particular field of expertise. This annual event happens around the same time as the Academy Awards, and I now understand why. These teachers, paraprofessionals, guidance counselors, and other professionals are the very best in what they do, just like the actors that get the coveted “Oscar” at the Academy Awards! These professionals are directly involved with touching a student’s life and helping them realize their goals. Many students that these experts mentor gain meaningful skills and ultimately a real world certification that applies directly to a career. 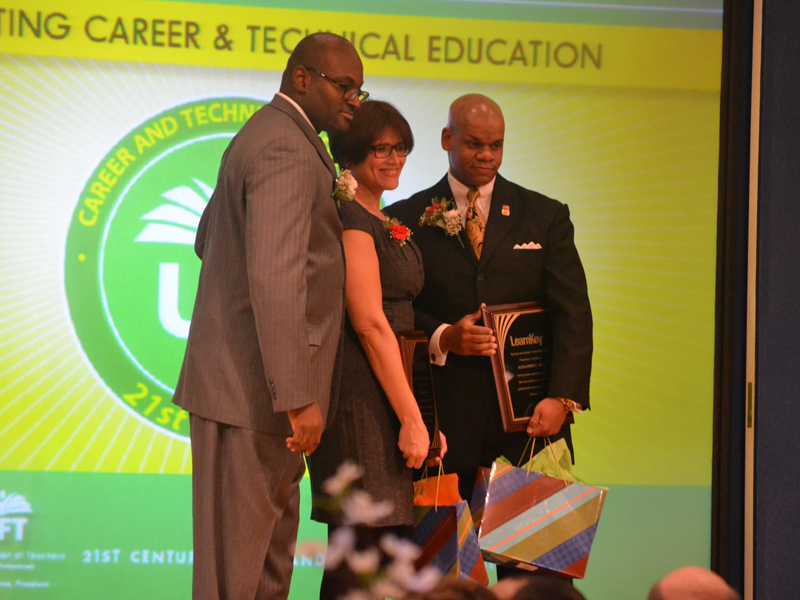 NYC offers many certifications in multiple areas of transportation, the medical sciences, information technologies, graphic design and desktop publishing, and many more that are all recognized on this extraordinary evening. 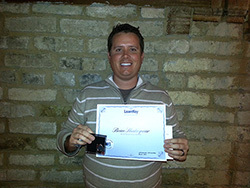 LearnKey was fortunate enough to be involved with “THE” information technology teacher named Alex Bell. Alex has been teaching computer repair for years and is one of the best teachers in the world as far as getting students certified in CompTIA’s A+ Certification. 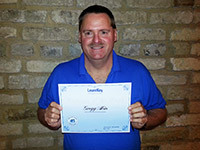 Alex has been familiar with the LearnKey training for years and will have a big say in how LearnKey will supplement the classroom instruction with hands on projects, lesson plans, labs, and activities that all point to the ultimate goal of certification. Alex has a 100% pass rate and has had for 12 years and that is why we can say “THE”. LearnKey is a part of a larger business family as well. Better Learning Systems (BLS) is our parent company and “Know Your Talents” is the behavioral arm of our business that assists teachers, counselors, administrators dig down to the behavioral level to see why people do what they do. This “Know Your Talents” tool truly helps individuals figure out what they would truly succeed at in life. Emma Mendez is one of the most extraordinary guidance counselors in NYC who truly focuses on where a student wants to go and helps them realize their dreams. This KYT tool helps counselors assess quickly and with pinpoint accuracy how to steer and guide these wonderful kids down career pathways that fit with their interests and personalities. Emma is truly remarkable and instrumental in helping other guidance counselors all over NYC unlock the potential in every student. Many students across NYC are so bogged down with “real life” that they need a blessing like Alex and Emma to enter their lives and help them succeed and reach their dreams! 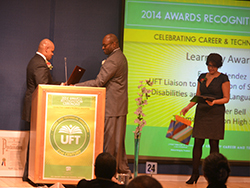 BLS and LearnKey will continue to support the UFT and the CTE programs in New York City Schools. Thanks Alex and Emma for making us an integral part of this successful equation!!! Alexander C. Bell – His passion, dedication, and belief that every student can and should be positioned for success is second to none. No one puts in the dedication Mr. Bell does to achieve the pass rates his students achieve every year. Thank you for helping students fulfill their dreams through better learning and providing them with leadership, mentorship, and wonderful guidance. Emelia “Emma” Mendez – Emma demonstrates a vision of leaving “no rock unturned” in seeking resources, learning systems, and passionate people to help create a valued added support system for students so they can achieve their dreams. Thank you for demonstrating that in good will and always reminding everyone: the student comes first. 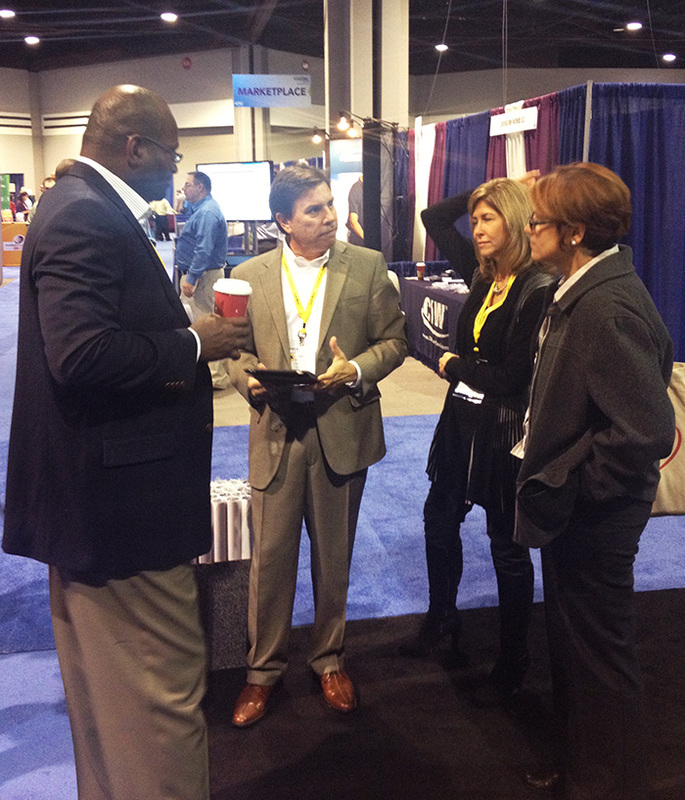 Need a trade show coordinated? How about a marketing white paper? Or updated course catalog and better yet- how about travel arrangements? Those are key areas of our company and we are fortunate enough to have Beau Shakespear handle those duties or shall I say “wear all those hats” with a “can do” attitude and great pride in his work. It is for that reason and the way he demonstrates our company’s core values that he is the recipient of our March 2014 Better Learning Systems employee of the month! “Over the past few months Beau coordinated a major redesign of our LearnKey.com website that has made it easier to navigate, find information that is informative and much needed. I am so proud of how he went about completing such a major task and how he has adapted with managing multiple projects, meeting deadlines at all times”. Our core values are built around ease, value and trust. Beau exemplifies these in how easy it is to work with him, the value his contributions bring and trust he builds with the way he goes about doing his job. Way go to Beau! 2. What is your favorite movie? Baby Mamma – This could be because my wife is pregnant. But you can never go wrong with Tina Fey and Amy Poehler. 3. What is your favorite band? Couldn’t name a favorite band. But currently I am loving Happy by Pharrell Williams. 6. What is the weirdest combination of foods you have eaten? One time in Mexico I ate crickets with spice on them. They were crunchy. 7. What is/was the name of your favorite pet? Tramp my dog. 8. What was your first car? 1989 golden Astro Van. 10. Would you rather sky dive, bungee jump, zip line, or parasail? I have been sky diving and zip lining. But I would go zip lining again in a heartbeat. It was so much fun. 11. What is the funniest saying you have heard working here? Some things are worth dying for, and one of those things is gluten. YOLO! Please join me in congratulating Beau for this great accomplishment and thank you once more Beau for all the great work you do and how you go about doing it. My trip started out with a long day of travel from Las Vegas to New York City. I love New York City and I am sure I will never in my lifetime see everything it has to offer. 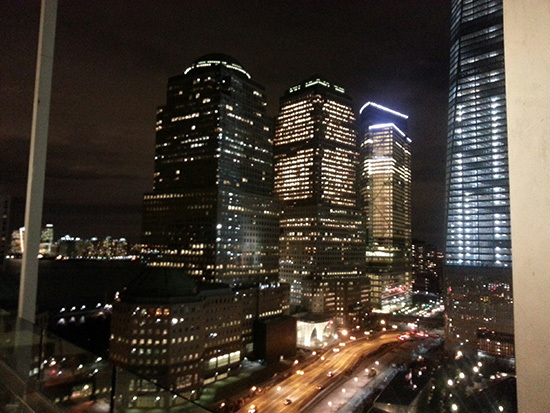 I am staying in an amazing hotel right next the World Trade Center. You must see this building in person to really appreciate it, my picture is great but does not do it justice. It is so humbling to see in person and to think of all the people we lost on 9/11. I am here attending a CTE (Career & Technical Education) conference at the United Federation of Teachers. I have learned so much about New York schools and how they looking to helping students better prepare for college and for the workforce. Tomorrow we are touring the schools who have successfully implemented student certification programs. 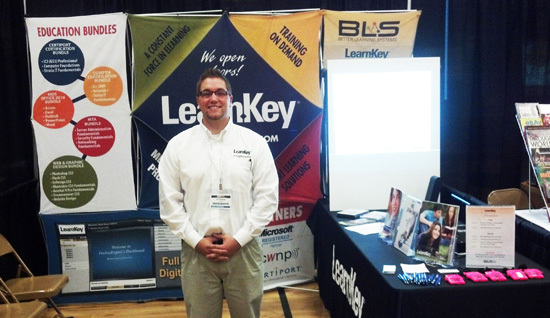 LearnKey’s Gregg Akin – always doing his job! Some of the greatest leaders in the world use the same phrase to describe what they need their team members to do, which is to “just do your job and trust that your other teammates will do theirs”. You hear it time and time again, just watch a Patriots game and you will see their head coach Bill Belichick screaming that phrase to each sub team (i.e. offense, defense, special teams) when they are on the sidelines. Sounds so simple, however, staying focused and reassuring each team member that if they “just do their job” and trust their teammate to do their job too – they will win. 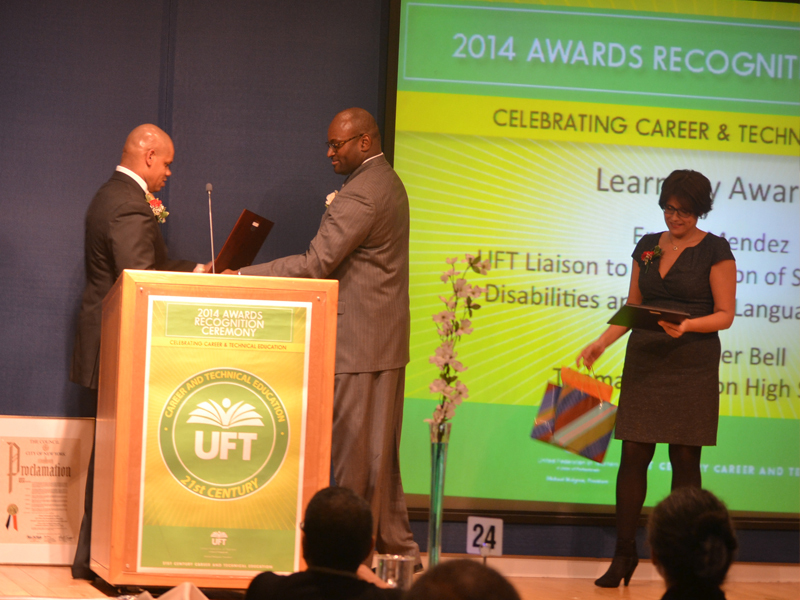 “Gregg has demonstrated our Core values in many ways. He has brought Value to Learnkey by providing a great work ethic, following up with clients that could have easily been lost. He has taken a huge load off of Client Services, by importing thousands of students in the past several months, training teachers and helping them with the ease of OnlineExpert. You can trust him to follow through with any tasks until they are finished – he gets results. He understands the importance and value of our clients. He is very Easy to receive instructions and complete tasks assigned to him, then goes the extra mile to accomplish them to get results. 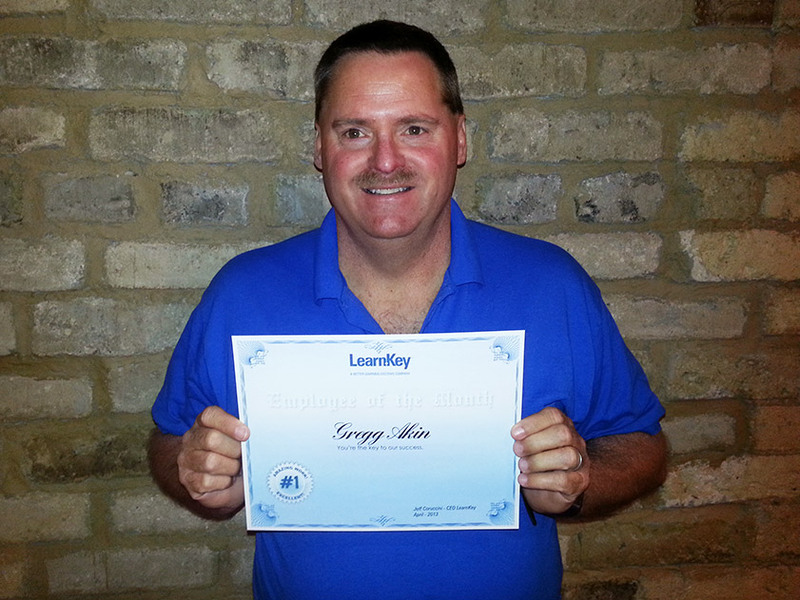 Gregg is a great asset to LearnKey, and his dedication and hard work show his team members not only is he doing his job, but he is trusting that his other team members will do their job (i.e. selling, creating and producing great video based training). The ACTE conference in Atlanta was a huge hit For LearnKey. Jeff, Lori, Kim, Scott and I were able to re-solidify the fact that we are on the right track. The track of preparing teachers first for certifications and then taking that knowledge gained and marrying it with our award winning full motion video, hands on projects created by teachers that align directly to Adobe and Microsoft objectives, mobile technology alerts and the constant mentoring of teachers so that they are up on technology as well as behavioral assessments to best pinpoint career pathways for students. All these lessons learned over the past 27 years are now a road map for teachers to make sure that each student is successful in their life quest. It was so good to see school district administrators and teachers embracing the fact that businesses and community partnerships are valuable in many different ways. The more involvement that you have with people from a broad spectrum of knowledge, the better the result is for the students. New and innovative ideas are what is going to drive success in the classroom and ultimately engage and empower the student to go on and do great things. It was great to see how “Team LearnKey” interacted with partners and clients as well as with one another to bring digital literacy into the classroom. 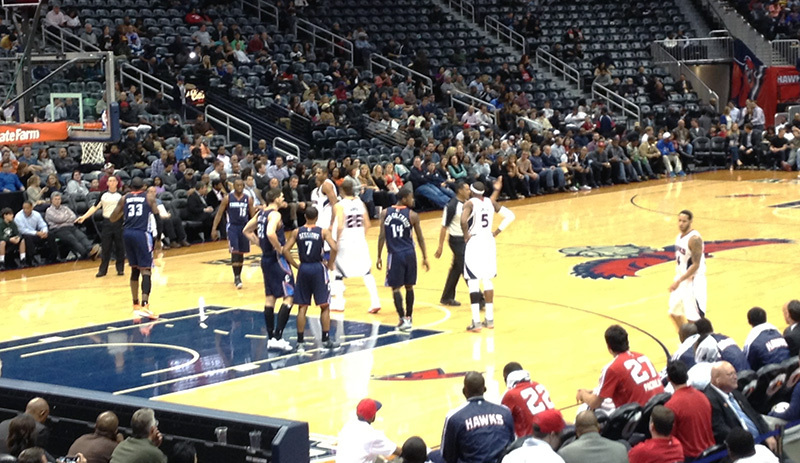 Oh yeah, we ate a lot of great food and also went to an Atlanta hawks basketball game and had a good time. We were able to sit behind Danny ferry, the Duke “hall of famer” who won the Naismith College Player of the Year and Oscar Robinson Trophy award winner in 1989 and his #35 jersey was retired after his senior season in 1989. Sleeping off a Thanksgiving food coma will definently be just a dream for many LK employees this week. We will be in three different states and at three different shows. Here is our schedule so you can stop by to see us, if we are visiting your city. If you’re attending any of these shows, stop by and see what we have to offer! Atlanta, New Orleans, Indianapolis, and…St. George, Utah? You may be wondering what St. George could possibly have in common to be included in a list with these large cities. Well, before the end of the year LearnKey will be in each of these cities attending trade shows and sharing our training with local teachers and administrators. Today and tomorrow we are in our hometown St. George, UT! We don’t often attend shows in Utah, let alone in St. George, and we have a new booth design and will be doing presentations today and tomorrow – so stop by Desert Hills High School and check us out.